Die Dschungel are a 4-piece band and songwriter-collective from Berlin, Germany, made by Shivam Tokhi (guitar + vocals), Christian Dangel (guitar + vocals), Lars Paprotta (bass + vocals) and Michele Martini (drums + vocals). Their style varies from Punk to Post-Punk to Indie, mixed up with Hip-Hop and Drum 'N Bass. 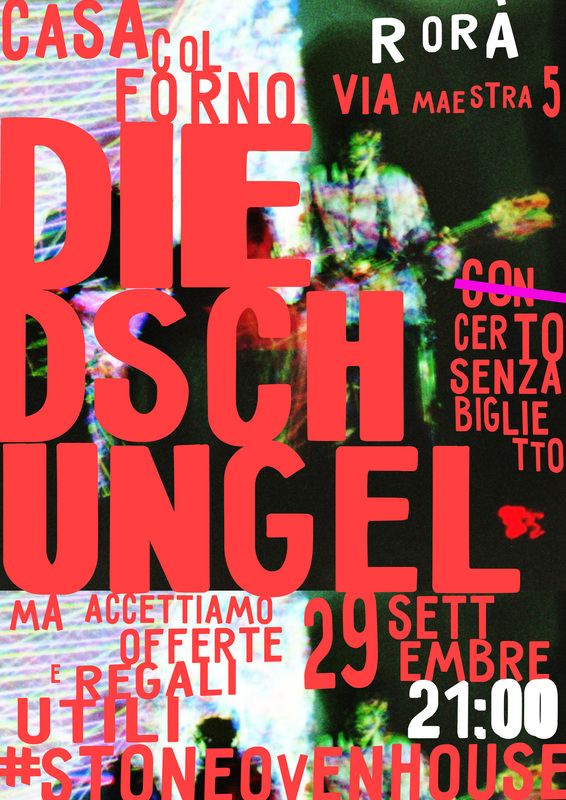 Die Dschungel's music is made out of the joy of the 60s, the psychedelics of the 70s, the experimentality of the 80s, the extravaganza of the 90s, plus their heartbeats of the now. Lyrics are sung in German, English, Italian and French. The songs reflect a true belief and a deep longing for a more human form of existance, where everyone is empowered to live out their creative, emotional and spiritual potentials.